Cura Partners, Inc. is a US-based company expanding into international markets with its brand of CBD products Select CBD, and this is part of its journey. Building a business in the cannabis industry is similar to getting on the world’s longest and wildest rollercoaster ride. Building a cannabis business in the US in particular can be a little intimidating. The federal government sees the business as illegal, banks won’t work with cannabis businesses, and taxes are high. 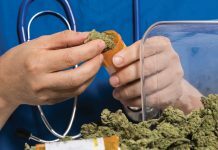 Additionally, THC and CBD products can’t leave the state, leaving some states, like Oregon, with a glut of cannabis that will last their population seven years if they never produce cannabis again. 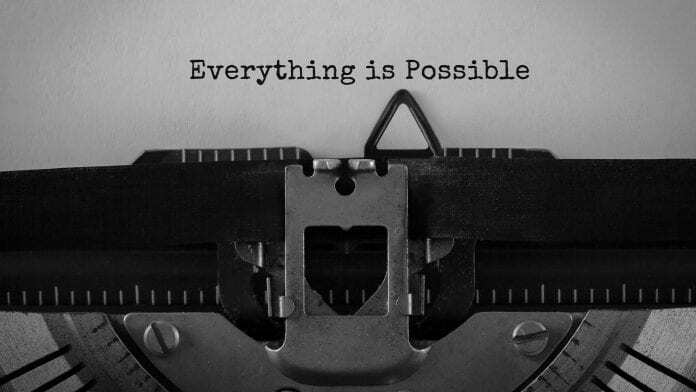 Even with all the barriers, there are those of us that persist and continue to build businesses. We do it because we know there are people who need access to the medicine. We do it because we know the plant has been illegal for irrelevant reasons and we want to see it thrive where it can. We do it to help shift perspectives. With this persistence, there are moments of joy and celebration when new laws form to support giving consumers access to plant-based medicine. With the passion, there are also moments of sheer terror and confusion, particularly when regulations change and sweep foundational elements out from under the feet of business leaders. In the midst of all of this, we cannot deny that consumer demand is growing, especially for CBD (cannabidiol) products. Cura Partners, Inc. formed in 2015 with a focus on creating strain-specific, high-quality cannabis THC oils primarily for the vaping market. Cameron Forni, founder, president and chief executive officer, wanted to develop a product that would be safe and more comfortable for treating a friend with Barrett’s oesophagus who wanted to find a clean, smoke-free way to use cannabis. Forni deconstructed every vaporiser until he landed on the organic cotton wick. From there, the Select brand emerged. With this product line, the brand originally called Select Strains became the number one THC brand in Oregon, California, Arizona and Nevada. CBD is a non-psychoactive cannabinoid that is a part of the cannabis plant with medical properties. CBD can be extracted from hemp (low-THC cannabis plants), pine and other plants. Primarily, though, CBD is extracted from hemp. 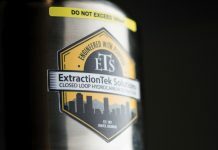 The final extracted material looks like a waxy oil known as distillate or a white crystalline powder known as isolate and is then processed into final products. In 2018, Cura decided to enter the CBD market with a line of products under the brand Select CBD. 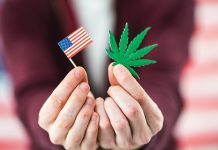 The United States market is far more open for CBD sales than THC, and it provided a way to reach more consumers. The product line took off with tinctures (also known as Select CBD Drops) and vape pens (also known as Select CBD Blends). The line has since expanded into Select branded topicals, pet drops, gel capsules and transdermal patches. One of our brand differentiators lies in our completely legal and high-quality supply chain, which comes from US Department of Agriculture-licensed hemp farms. The hemp is transferred to us in a chain of custody with a certificate of authenticity, and the consumer products are also manufactured, packaged and shipped from a Department of Agriculture-licensed facility. We’re also very focused on safety, and here we are proud to put all our CBD products through the most stringent testing standards in the country, namely the Oregon pesticide, heavy metals, residual alcohol and microbial panel. In fact, we feel that we’ve truly set the standard industry-wide, as we have all products quality control batch-tested at Oregon Environmental Laboratory Accreditation Program (ORELAP)-accredited testing labs near our headquarters in Portland, Oregon. We will soon be making our test results on products available to customers by adding a QR code to each product. When scanned, the consumer can see the test results on potency and purity. There have been several reports about many CBD products on the market containing low or no CBD, or also containing harmful contaminants. Select CBD holds to a higher level of quality and transparency, so consumers can trust what they are putting into their bodies. So why is CBD so popular? The cannabis plant has hundreds of compounds, but the two compounds most people are familiar with are THC and CBD. THC produces a psychoactive high which can prevent some people from trying it. However, CBD produces no ‘head high’, and users report a wide variety of therapeutic benefits, making it a choice for a wide variety of conditions and demographics. New Frontier Data shows that the CBD industry is expected to be worth $20bn (~€18bn) by 2022; this makes hemp-derived CBD the fastest growing industry in the world. From the growth we’ve seen, we anticipate that number could be even higher. This growth is evident as CBD is showing up everywhere – from lattes and beer to cosmetics and medicine. Its use is growing rapidly, as are the formats it is available in. Because CBD products have seen unprecedented growth in the last year, people are seeking a variety of delivery methods that fit their personal lifestyle. With our line of vape pens, tinctures and transdermal patches consumers can choose which way works best for them. Wellness and skincare products are also seeing a huge boom and are an excellent entry point for someone curious to try CBD. Cura, through its subsidiary focused on hemp CBD, Cura Wellness, has been known for providing fully tested and compliant CBD products for consumers for over a year in the United States. Here, consumers can access our products in regional grocery stores, convenience stores, cannabis retailers and online at selectcbd.com. In Europe, consumers can find Select CBD at selectcbd.eu and through our UK-based distribution partner Plata Wellness. We are also excited to sponsor some of the top athletes in the world – some of whom are publicly talking about cannabis and hemp products for the first time in their careers. Soon, the world will see Olympic athletes aligned with a CBD company, which provides incredible peace of mind to consumers who want to ensure that the products are effective and contain 0% THC. It depends on where you live, and regulations are constantly changing. The EU has had legal manufacturing and sales of most CBD products under 0.2% THC but has recently given additional clarification that all CBD is considered a ‘novel food’, and some countries like Spain, Brussels and Austria have banned the sale of it. 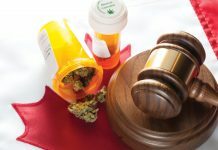 The United States is largely legal with only a few states declaring it illegal, and additionally some countries only recognise its use in pharmaceutical and prescribed situations. One of the most common components of having legal CBD is the quantity of THC present. This varies from country to country. In the EU, the limit is 0.2% THC; in the US, it’s 0.3% THC; and other countries like Switzerland and Mexico (as Mexico looks at regulations) are at 1% THC. Select formulates CBD with 0% THC, making it easy to ship across state lines and into other countries. CBD is most commonly used for anxiety, stress and pain. ‘For the relief of certain kinds of pain, I believe, there is no more useful medicine than cannabis within our reach,’ wrote Sir John Russell Reynolds, neurologist, epilepsy research pioneer, and physician to Queen Victoria back in 1859. Now, research is confirming what was discovered 160 years ago. In the United States, over 70 million people deal with chronic pain, and in Europe over 100 million people are in chronic pain. Studies show that our endocannabinoid system is involved in the processing of pain signals and CBD can lessen the sensation of pain. CBD is also used for its anti-inflammatory properties, closely related to pain. It can help reduce joint pain and swelling, as well as all forms of inflammation, which is prevalent in many diseases. CBD is taken in by the endocannabinoid system, which is integrated into all of our body’s systems, so is delivered throughout the body and addresses inflammation as needed. The reported benefits list continues to grow, including beneficial impacts on cholesterol, cardiovascular disease, cancer, brain trauma, bone disease, skin health and sleep disorders. The impact of CBD is not just folklore, it’s being used in powerful medications. 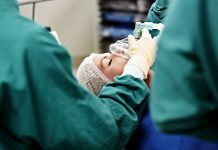 In 2018, GW Pharmaceuticals released Epidiolex, which is a prescription CBD oil for seizures associated with Lennox-Gastaut syndrome (LGS) or Dravet syndrome (DS) in patients of two years and older. With this, the legitimacy of CBD is even further established in the consumer mind. If pharmaceutical companies are using it to heal patients, why not try it for themselves? There have long been rumours about big brands like Coca-Cola wanting to add CBD to their soft drinks. Regardless of the validity of the claim, the intent and idea are on point. Consumers are driving this demand and product manufacturers will follow where the demand is coming from. We are proud of the quality of our products and the innovation behind them. We seek to release new products and formats that meet the market demand and produce consistent results for the consumers. What do you know about tinctures? We formulate our tinctures with 1,000 milligrams of CBD per bottle, and use organic medicinal herbs like lavender, chamomile and passionflower to release calming phytonutrients, lemon, ginger and turmeric for anti-inflammatory properties, peppermint, ashwagandha, and rhodiola for focus, energy and immune-boosting phytonutrients. When we steep our oils with these herbs, we also release additional beneficial compounds like vitamins A, C, E, B1, B2 and B3, calcium, iron, phosphorus, chromium, manganese, potassium, selenium and zinc. We have found that if the tincture tastes good, it’s easier to take and enjoy. We also produce a lower potency tincture for pets, in flavours that dogs and cats enjoy like salmon, bacon, chicken and peanut butter. Our vape pens are of the highest potency on the market, with 250 milligrams of CBD per vape pen, translating to about 1-2 milligrams of CBD per puff. Vaping of CBD allows for rapid absorption through the lungs. When it comes to vapour regulation, compliance is always going to be at the forefront of what we do here, so we’re tracking vaporisation regulation closely. From the inception of our company, we’ve been focused on innovating the device itself, as we found that many competitors were using silica fiberglass wicks with incorrect heating elements. We’re proud to have set the standard around Japanese cotton wicks, and the industry has followed suit in many ways since we began using cotton in our cartridges. Our CBD transdermal patch permeates all layers of the skin to slowly and steadily release pure CBD hemp extract into the bloodstream over 24 hours. This is a highly effective and convenient way of using CBD. We offer these in 20 or 60 milligram potencies, and in one or three packs. We combine 250 milligrams of CBD with aloe, vitamin E, tea tree oil, menthol and other compounds to create a highly concentrated, easily absorbable topical cream that helps alleviate pain and inflammation. Gel caps offer convenience and consistency in dosing, and Select CBD gel caps are each filled with 33.33 milligrams of CBD. Once hemp and cannabis-derived products are treated as a normalised consumer product, brands will be able to market in a more advanced way. With our amazing people at the helm, we will be able to lead the charge to help people see how cannabis and CBD products fit into their everyday lives. While many CBD companies continue to sell hemp-derived products nationally with no purity or potency test results available to the consumer, we have always shared testing information transparently on the packaging that complies with Oregon’s extremely strict standards. 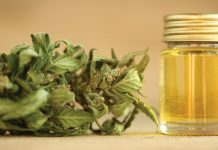 The possibilities for legal hemp-derived CBD sales are expansive, and Cura fully intends on showing the world what the future holds for the industry.